In new research that could help inform development of new materials, Cornell chemists have found that the empty space ("pores") present in two-dimensional molecular building blocks fundamentally changes the strength of these van der Waals forces, and can potentially alter the assembly of sophisticated nanostructures. The findings represent an unexplored avenue toward governing the self-assembly of complex nanostructures from porous two-dimensional building blocks. "We hope that a more complete understanding of these forces will aid in the discovery and development of novel materials with diverse functionalities, targeted properties, and potentially novel applications," said Robert A. DiStasio Jr., assistant professor of chemistry in the College of Arts and Sciences. In a paper titled "Influence of Pore Size on the van der Waals Interaction in Two-Dimensional Molecules and Materials," published Jan. 14 in Physical Review Letters, DiStasio, graduate student Yan Yang and postdoctoral associate Ka Un Lao describe a series of mathematical models that address the question of how void space fundamentally affects the attractive physical forces which occur over nanoscale distances. In three prototypical model systems, the researchers found that particular pore sizes lead to unexpected behavior in the physical laws that govern van der Waals forces. Further, they write, this behavior "can be tuned by varying the relative size and shape of these void spaces ... [providing] new insight into the self-assembly and design of complex nanostructures." 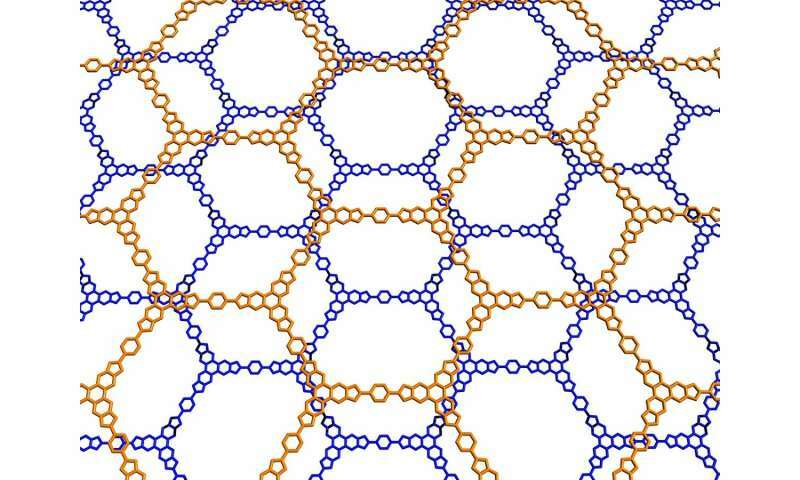 "I am surprised that the complicated relationship between void space and van der Waals forces could be rationalized through such simple models," said Yang. "In the same breath, I am really excited about our findings, as even small changes in the van der Waals forces can markedly impact the properties of molecules and materials."